Give your customers more convenient ways to pay and watch your sales skyrocket. By accepting debit and credit cards, you can do it! 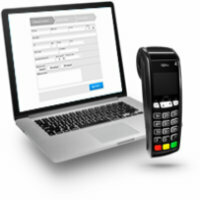 We give you all the tools you need to process card payments, with state-of-the-art technology and support. Choose from a wide variety of advanced processing technology. Our Card Services processing will make your business transactions quicker and more efficient. Let us show you how to increase your bottom line! FCCU works with a company called Clearent to provide our merchant card services. For more information, email rknodel@clearent.com or schedule a time, that's convenient for your schedule by clicking Calendly Calendar link.